Lindner-Recyclingtech is responding to the increasing demands placed on the automated sorting of valuable recyclables as well as the ensuing rise in the need among producers of solid recovered fuels (SRF) for pre-shredded yet ideally sortable material. With the new Atlas, the leader in shredding technology is not only focusing on the energy efficiency of shredding systems, but also on the ideal output size with continuous dosing for optical sorting systems and a maximally possible resistance to foreign parts at the same time. 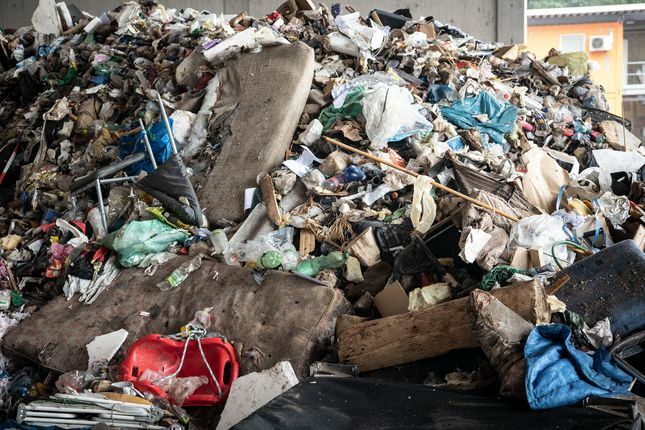 The development in the waste disposal and recycling industry suggests a further automation of waste treatment processes – even if qualified personnel is currently more urgently needed than ever and there is a shortage of skilled workers in Europe (as is also the case in many other sectors), a turnaround is not in sight soon. In 2025, more robots will probably be in use and support or partly replace conventional optical separation and sorting systems (near-infrared systems, NIR) in SRF production. Lindner is responding to this development and the circular economy in upswing, especially when it comes to plastics recycling. With the Atlas 5500, the Austrian company with 70 years of expertise in engineering offers an ideal shredder that meets the increasing legal and economic requirements for the separation and sorting of valuable recyclables in SRF production sites. The new Atlas complements Lindner's stationary primary shredder range with an asynchronous twin-shaft shredding system and was launched at IFAT 2018, the world's leading trade fair for water, sewage, waste and raw materials management, in Munich in mid-May. Designed for very high uptimes (24 hours a day, seven days a week), the ‘ripping twin-shaft shredder’ has a throughput capacity for coarser output sizes and uniform material discharge of 40 to 50 metric tonnes per hour, depending on the feed material, and even up to 70 metric tonnes per hour for municipal solid waste. 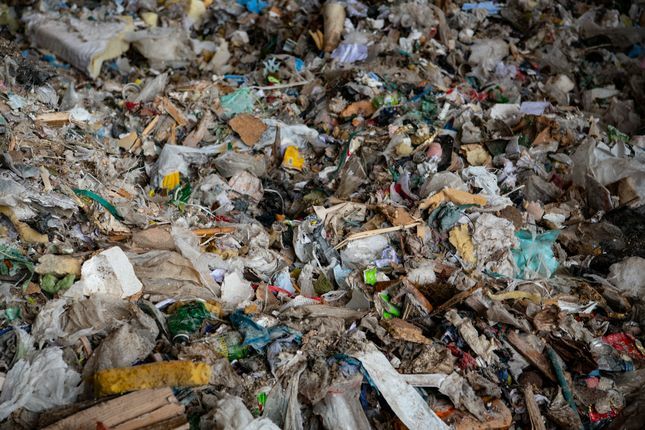 As a result, more recyclable materials, in particular plastics such as film from mixed municipal solid waste as well as from commercial and industry waste, can be collected for recycling. In addition, it is possible to meet ambitious quotas and guidelines – regarding the EU circular economy package, for example, and in light of increasingly scarce primary resources worldwide. The shredder supplies the downstream sorting system with a perfectly dosed and uniform output – the perfect prerequisite to ensure maximum efficiency of the sorting facility (e.g. NIR sorting systems). The slow-running shredder’s new asynchronously rotating shaft system ensures uniform material discharge by generating high torque. In the Atlas both shafts of the robust cutting system equipped with a solid counter-cutting frame and aggressive self-intake can be rotated independently of each other. If one of the two shafts comes to a standstill due to non-shreddables or tough or wet and heavy feed material, the Atlas continues to shred normally in asynchronous operation with the second shaft. The shredding takes place in both directions, which explains the high throughput capacity. In fact the second shaft even unblocks the first shaft, which means that virtually no manual intervention is required. The impressive throughput capacity is made possible by a special drive concept: The Atlas 5500 twin-shaft shredder is equipped with an e-drive. With a typical electric drive power of 2 x 110 kW, the shredder uses the intelligent energy management system DEX (Dynamic Energy Exchange) to always run on the optimum operating point. When reversing, the shaft changes the direction of rotation three times faster than is the case for a shredder without DEX. Stationary electric hydraulic drives have been the technical standard for shredders for around 30 years and have the advantage that the pressure and direction of rotation can be changed quickly. In general, however, the operation of such machines generates a lot of heat and noise, which means an enormous loss of energy. In addition hydraulic high-pressure hoses often leak meaning that hydraulic fluids can easily escape. The new Atlas equipped with a quiet e-drive, however, does not involve frequent oil changes or oil refills. The proven Lindner torque-limiting safety clutch reliably protects the machine drive from damage in the event of blockages caused by non-shreddables. The controlled shutdown of the machine via sensors that are proven to be robust also safeguards every single component. In addition the shredder can be conveniently controlled by remote control from the loading vehicle (wheel loader, excavator) or the control room. Lindner's intelligent energy management system (DEX) ensures that the Atlas always runs at the optimum operating point, regardless of which material is fed in which quantities or whether it is contaminated or not, during a specified throughput period or at a certain capacity. The DEX also regulates the load on the electrical grid. If there is a higher demand for electricity, it is important to avoid peak current that drives up electricity costs and can impair and disrupt the voltage quality in the electricity providers’ electrical supply networks. Lindner's DEX positively influences the electricity costs of the Atlas. Power is distributed evenly and peak loads are reduced. In this context the term ‘peak load’ refers to a high demand for power that occurs briefly in the electrical grid or other supply networks (CNG, local or district heating etc.). If the demand for power rises sharply, this is referred to as ‘peak demand’. In this case, quickly controllable peaking power plants, such as pumped storage power plants, compressed air storage power stations or gas turbine power plants, which can provide high outputs within seconds, are activated for power supply. This ultimately drives up electricity costs. 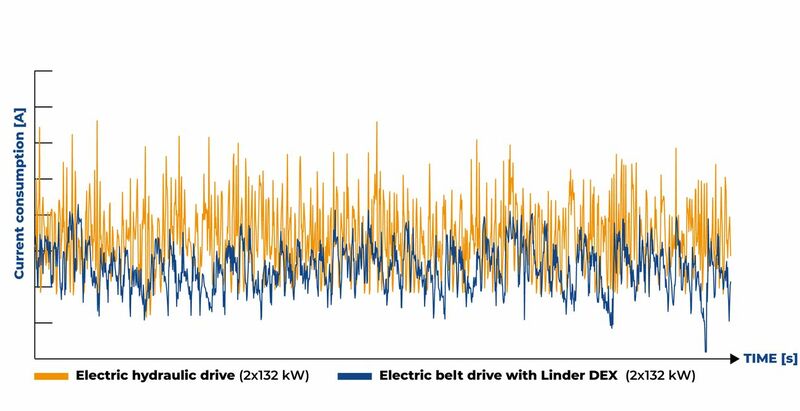 Figure 4 shows the typical power consumption from the mains, comparing power peaks from a comparable electric hydraulic twin-shaft shredder (orange current curve) with those from the all-electric twin-shaft shredder Atlas including DEX (dark blue current curve). Both machines have the same drive power: 2 x 132 kW electric hydraulic and 2 x 132 kW all-electric. It can be seen that the power peaks in the electric hydraulic drive are considerably higher than in the electric one with DEX. In summary Lindner describes their latest innovation as an ‘intelligent yet ingeniously simple solution’. Thanks to the intelligent energy management system DEX (Dynamic Energy Exchange), the system always runs on the optimum operating point ensuring a significant increase in energy efficiency compared to conventional electric hydraulic drives.